Take an angler-owned company building boats made for family fun on the water, whether your niche is fishing or water-skiing. Combine it with a one-of-a-kind tournament series tailor-made for the average guy or gal that promotes fishing while protecting the resource. It’s no wonder that Warrior Boats and the AIM Weekend Walleye Series are marketing partners, said Kent Andersen, national sales manager for the Melrose, Minnesota manufacturer of serious fun on the water. AIM National Tournament Director Denny Fox echoed Andersen’s comments. “AIM is very proud to have such a quality sponsor like Warrior as a partner to promote its excellent line of boats, but also advance sound conservation of resources that guarantees that when our tournaments are over, local anglers can learn where and how to catch the same walleye that our teams did the day before, because they’ll still be in the lake,” Fox explained. All AIM tournaments use the C-R-R format pioneered by AIM in its Pro Walleye Series. Each fish caught is photographed on an official “bump board” ruler the teams received at the start of each tournament day. The walleye is then released to the same water where it was caught within minutes, virtually assuring survival. The top five fish for each team is entered during the “virtual weigh-in” at the end of each four one-day divisional qualifying tournament, in each of three divisions across the Midwest—Minnesota, Wisconsin and, new in 2015, Great Lakes. 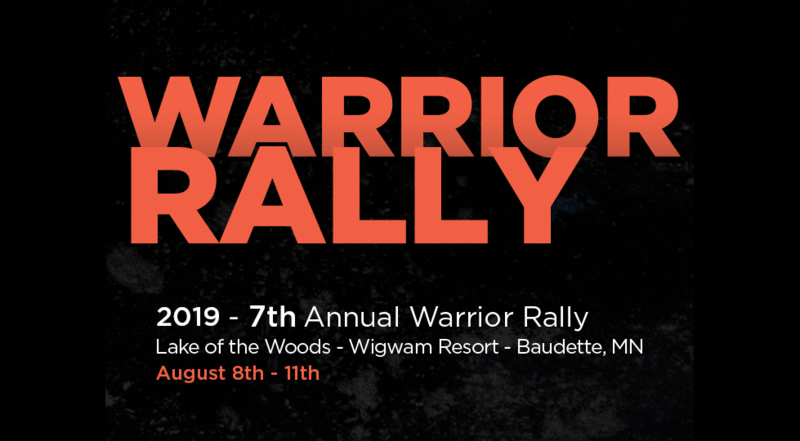 The top 16 teams who qualified last year’s tournaments in Minnesota and Wisconsin will compete in the upcoming 2015 AIM Warrior Shootout Championship, May 29 and 30, on Minnesota’s Lac Qui Parle. Winner of the Shootout goes home with a new Warrior V1898DC, powered by a 150-hp Yamaha four-stroke worth more than $45,000. The 1898 is one of six models in the Warrior lineup. “The DC stands for dual console, and the 1898 is a great multi-purpose boat. You can take the family out water skiing one day and go fishing in it the next,” Andersen said. The boat features a large rear livewell, two cooler compartments, a huge rod locker, snap-out carpeting and Warrior’s Smart Trolling Keel™ that gives its boats a ride that other manufacturers can only dream of. “Our boats are known as one of the best riding on the market and the driest built, period. We’ve got the only fiberglass boats in the industry that puts you behind the windshield, not looking over it,” Andersen said. Add Warrior’s best-in-class lifetime warranty, use of fiberglass stringers in construction instead of wood, and a custom Warrior trailer, and it’s no wonder company sales are growing by double digits each year. AIM Marketing Partners: Yamaha Marine, Warrior Boats, Nitro Boats, Mercury Marine, Amsoil, Navionics, Powertran, Power Pole, Worldwide Marine Insurance, OffShore Tackle, Team Lodge, National Fleet Graphics, Gemini Sport Marketing, The City of Oconto.